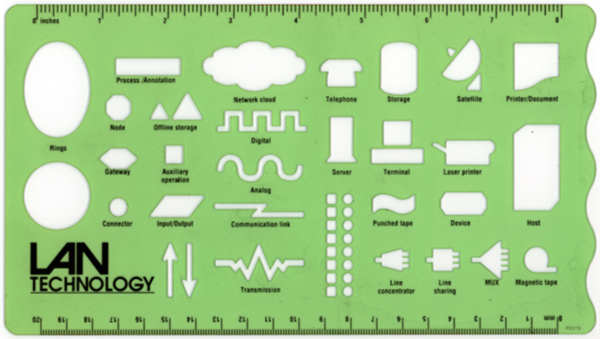 I found an amusing old LAN design template. Yes, we used to design computer networks on paper. This template must date to about 1988, since the laser printer icon looks like an Apple LaserWriter II.